Appointing a freight forwarder to arrange your shipping to the UK means that you do not have to worry about the technicalities (or trying to investigate what these technicalities are and what they might mean for your shipment), it also means you can hand over all the hard work to someone else. A freight forwarder based in the UK will handle UK import shipments on a daily basis and so will be knowledgeable about sailing schedules, import customs procedures and will have contacts at each major UK port/airport to arrange onward delivery to door. When Mercator was founded in 1991, the bulk of the UK’s trade was import shipments. Approximately half of all Mercator’s shipping consignments are still shipments to the UK involving UK customs clearance. With this wealth of experience, you can assign the UK based freight forwarder to handle your shipping to the UK knowing that your cargo will be safe and will arrive on time. Shipping to the UK can be undertaken either via sea freight, air freight, or (if the cargo’s origin is Europe) road freight. The most popular method of transit with our customers is sea freight is it represents good value for money and sea freight doesn’t always take as long as you might expect. For example sea freight transit time from New York to the UK is just 7 days, and there are even faster sailings available among certain sea freight routes: an express service from Saudi Arabia to the UK can take as little as 11 days on the water. However, if you have a shipment from the other side of the world (i.e. Australia/New Zealand) it can take up to 50 days! 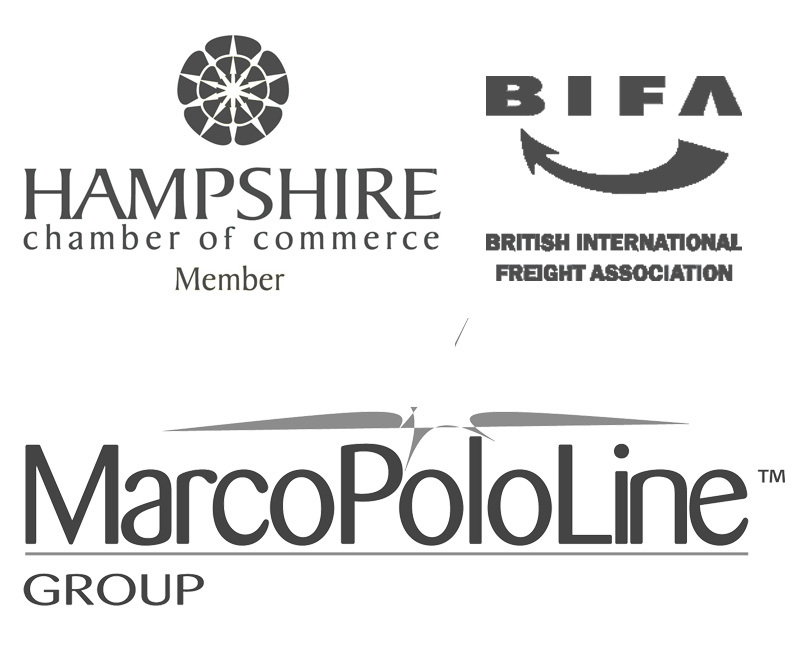 Mercator has contacts in 99 countries across the globe thanks to its founding membership of the freight forwarding network MarcoPoloLine. This means that we can arrange for your goods to be picked up in the origin country and delivered to the port a very popular option depending upon your buying terms. Our UK based freight team can then book your shipment onto the next vessel to the UK on your behalf and arrange the customs clearance here in the UK. Once any payments to HMRC have been cleared (we can also arrange this on your behalf), and customs have released the goods your shipment will be ready for collection and delivery to your door. As we have been in the business for many years now and our traffic has increased significantly, we have many strong contacts with UK based hauliers and rail operators. So no matter when your shipment arrives in the UK, we will be able to organise the speedy turn around and dispatch of your goods to your door to ensure timely delivery. If you are new to shipping to the UK then please take a look at the section below for new importers, and if you have any shipping questions just get in contact with us. New to Shipping to the UK? With our industry contacts, partner offices across the world, and long standing history in the marketplace, Mercator’s freight forwarding services from documents right through to shipping to door in the UK, will take away any of your anxieties related to shipping, you’ll be able to relax knowing that your shipping to the UK is in safe hands. If you would like to discuss shipping to the UK, or you need a quotation for a shipment you need arranging, then get in touch with us: +44 2392 756 575 or email sales@mercatorcargo.co.uk, we’ll be happy to help you with your requirements.